I specialize in anxiety and depression, especially for clients who are dealing with life transitions. I work mostly with young adults and adults who are coping with challenges and changes throughout high school, college and in the professional world. Many of my clients struggle with relationship issues, low self-esteem, career issues, and intergenerational trauma. I always tell my clients that they are in “the driver’s seat” and I am simply the “navigator”. My clients are the experts in their lives and they know themselves best. Sometimes, due to life’s challenges, people get a bit lost and they just need that guidance to find their path. It is an honor to be in a position in which I can help others find their path. I work with my clients to create a warm, safe, nonjudgmental and collaborative space. I help client’s make meaningful changes through a strengths-based approach, using a variety of methods to identify counterproductive patterns and address maladaptive behaviors. These patterns are looked at and replaced with new strategies and skills over the course of treatment. Anxiety disorders are the most common mental illness in the U.S., affecting about 18% of the population and Major Depression Disorder affects approximately 6.7% of our population. Unfortunately, there is a stigma associated with Mental Health and many people are not seeking out treatment. Therapy does not have to be sought out because you are “sick” or because something is “wrong with you”. It is simply an opportunity for you to learn more about yourself and the way in which you view the world. It is a dedicated time for you to work through whatever you need at that moment and to learn more tools to cope with life. Everyone deserves self-care and therapy is one of the best forms of that! My grandfather was the most influential person in my life. He demonstrated compassion, generosity, strength and the power of community to me and to everyone he encountered. He faced many adversities in life and he embraced his emotions throughout his challenges. He taught me that all feelings are welcomed and accepted. His gift for helping others inspires me to do the same every day. Lisa Gold works at both our Livonia and Southfield locations. 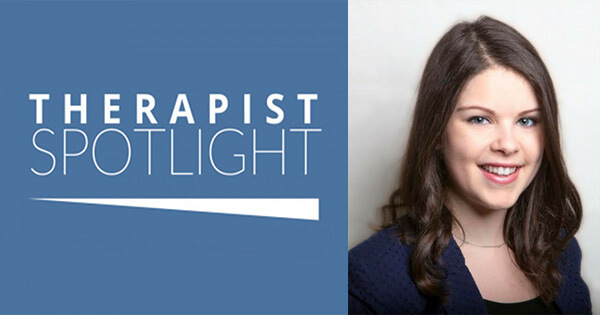 To learn more about Lisa, please visit her therapist profile below.